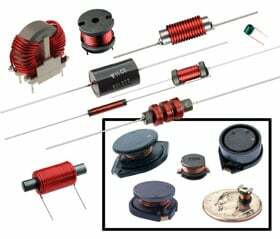 Wilco Manufactures Surface Mount Power Inductors, Surface Mount Shielded Inductors, Surface Mount Chip Inductors, Power Line Inductors, High Current Hash Chokes, Axial Lead RF Chokes, Drum Core Power Inductors, Air Coils, Ferrite Bobbin Coils, Toroids, Transformers and Custom Magenetics. Established in 1953, Wilco Corporation is a manufacturer and distributor of surface mount and thru-hole inductors, chokes, and coils. Wilco's strategy is to work closely with our customers to provide total solutions to their inductor sourcing needs. We can deliver prototype samples and initial production quantities, as well as supplying your high volume production needs. Wilco provides a reliable and cost effective sourcing, solution providing you with a long term and cost effective supply of your inductive product needs. Exceeding expectations on a daily basis is what service is all about at Wilco. Give us an opportunity to earn your business! Call today!